The newly opened French brasserie Terrine with a pig painted on its white facade lets you know you have found the restaurant on Beverly Blvd. This restaurant with its unassuming exterior has been my go-to brunch spot to dine solo for many reasons. The Terrine terrace, even more magical at night with white lights and many Who’s Who always streaming in. 1) No one bothers me at the bar and I can read in peace. 2) The coffee is perfect. 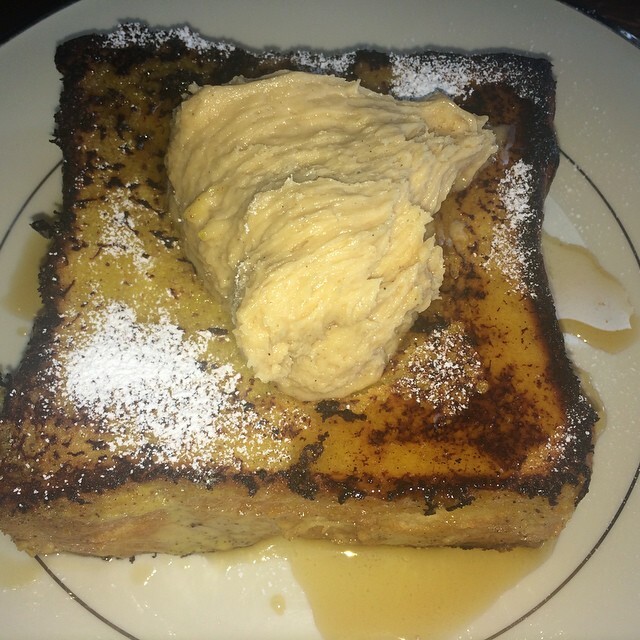 3) When I am in the mood, two things happen around noon…either French onion soup ($10) or the crack-like vanilla-battered French toast ($14) with sea salt, caramel frosting, and maple aka Pain Perdu. My friend loved the Croque Monsieur. 4) The wait staff is friendly and efficient. 5) I like the feel of the place with its huge outdoor back garden patio streaming in loads of sunlight and find the decor pleasing (gorgeous vintage mirrors in all sizes resting along the wall). 6) If it gets too loud, you can go dine outside. 7) I don’t feel pressure to have to be dressed up. 8) Other interesting foodies come up and dine solo. One morning an older guy next to me was sampling the foie gras dish. 9) Feeling down on a Saturday with no desire to cook, Terrine is the perfect pick me up! 10) I can walk there in ten minutes or less. 11) It’s LA affordable. Terrific Terrine brunch. I almost don’t want to share know how good it is, so I keep this spot quiet in the mornings. Due to my love of brunching and meeting Terrine’s Chef Kris Morningstar at Couchon 555 at the Viceroy recently, I was thrilled to try their new highly anticipated pork lovers weekly dinner series called Pig & Co. Chef Morningstar is known for his rustic, housemade charcuteries and meat-centric pièces de résistance. Occurring every Monday night starting in April from 5:30 – 11 PM, you too can go hog wild for countless dishes created by this mastermind chef. 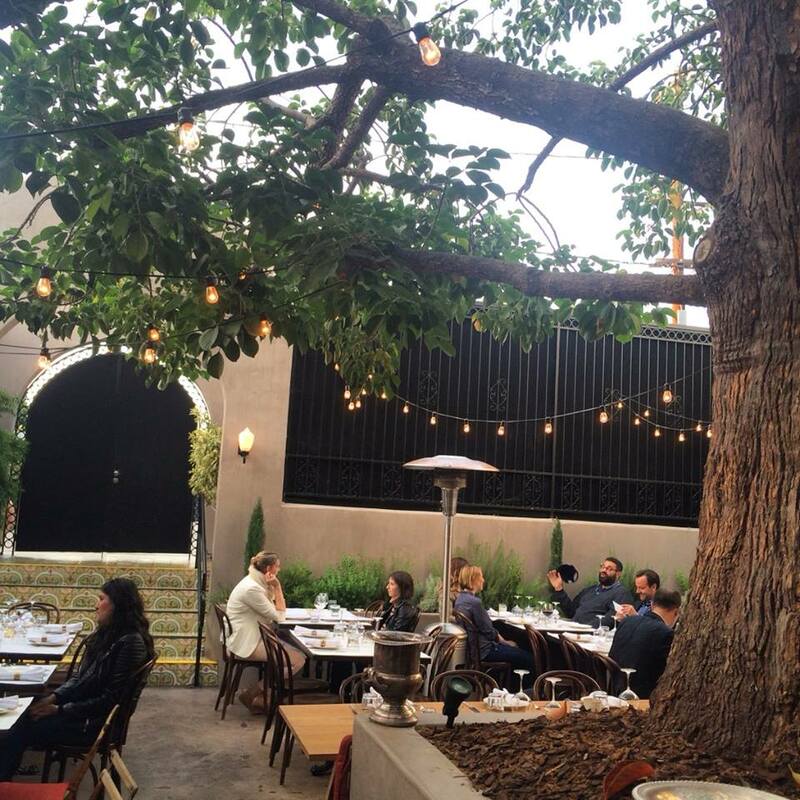 The Pig & Co series every Monday night at Terrine on Beverly Blvd. The suckling pig has been marked on the menu for your pleasure so you can identify which part of the pig you are dining on. First up, scotch starts my weekday evening followed with porchetta, then the confit shoulder with apricot mostarda, farro, and charred broccoli. 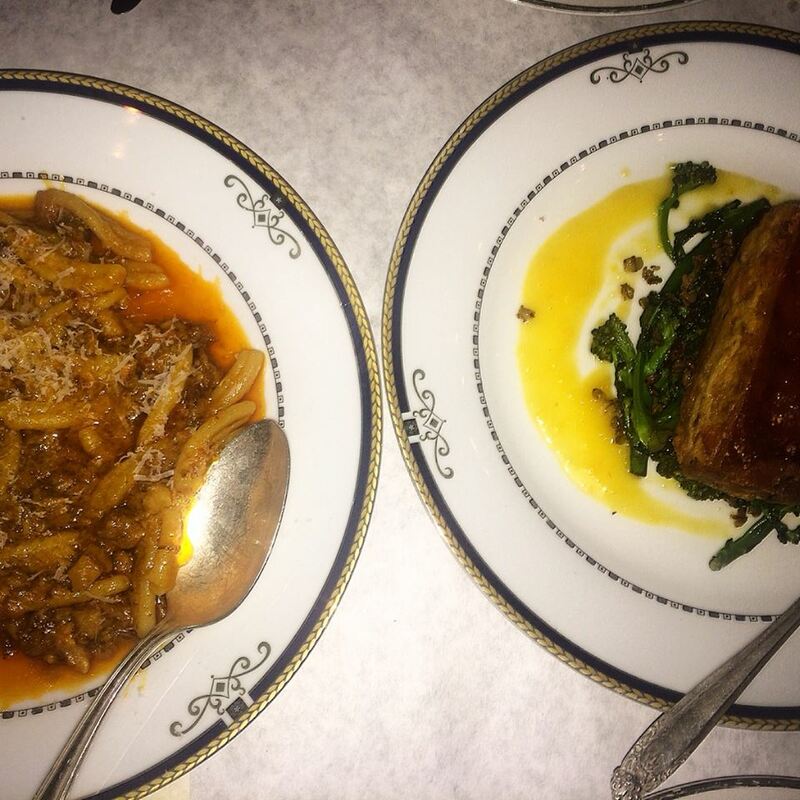 The pig head ragu with casarecce pasta and fennel pollen shockingly wins me over and I can’t get enough. I want to order another plate. Other swine menu options include platters of suckling pig, various pork sausages, as well as surprise dishes including Tomahawk pork chops and pig ear salad. The menu ranges from $10-25 per dish. To accompany Morningstar’s Pig & Co. bites, Head Bartender Ryan Wainwright will offer a special Redbreast cocktail menu starting at $12, highlighting the rich single pot still Irish whiskey. Neat pours of Redbreast’s 12 Cask Strength and 21 Year Old will also be available. 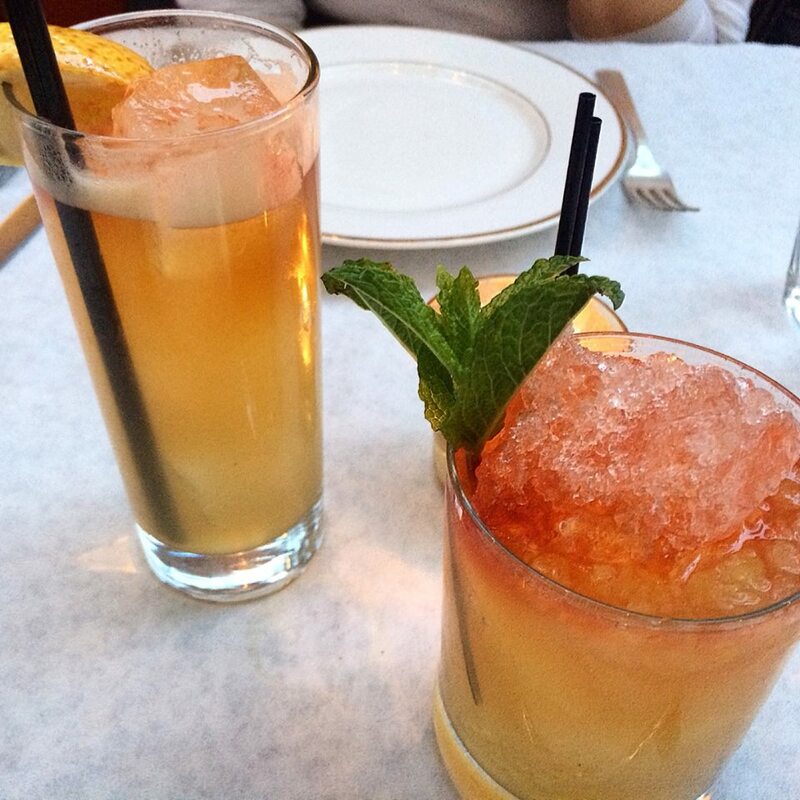 With Ryan Wainwright’s cocktail creations, you can’t go wrong any which way they are poured. 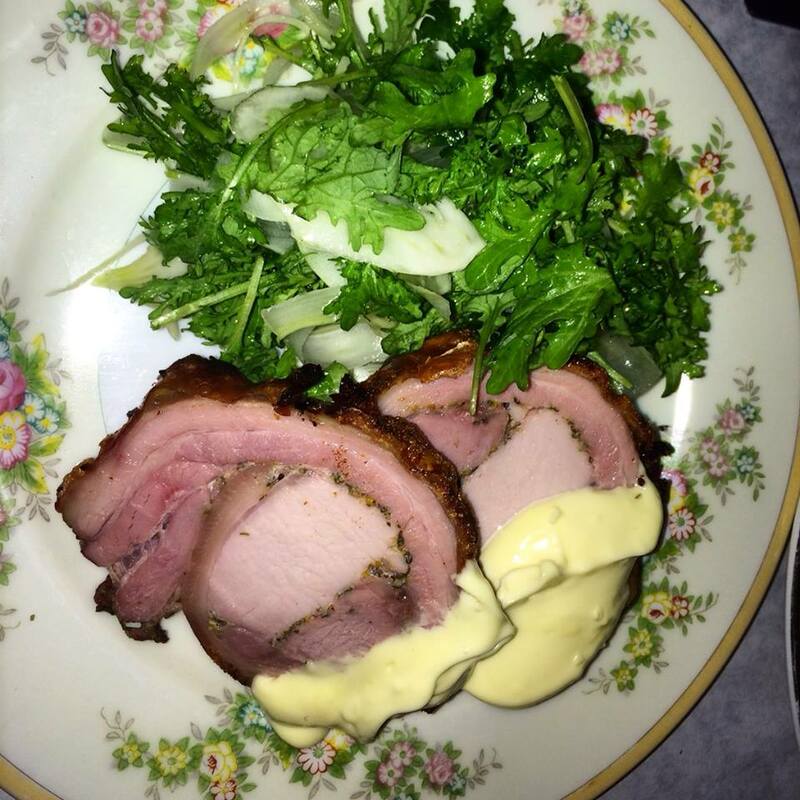 If you are not into succulent pig in all its forms, try one of their French classics cooked with California flair from their Dinner Menu, like Agnoloti, Squid Ink Spaghetti, Duck Confit, Farro, or Garbure (beans, pork, duck confit and vegetables simmered in duck fat). We hear the charcuterie board is tres magnifique. Also, brunch is not only open on weekends, but Friday too. 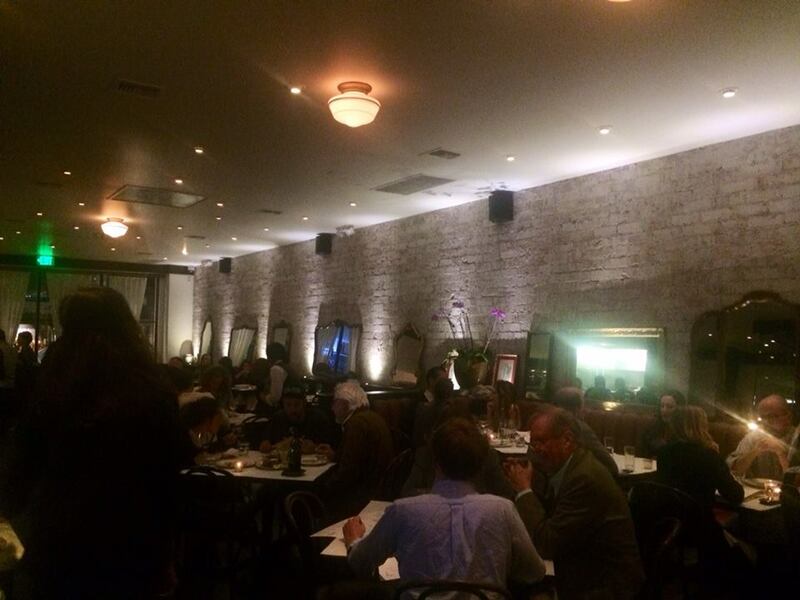 We loved seeing Terrine’s beautiful space at Coachella in the VIP section. Terrific Terrine is open every night starting at 5:30. This is a menu for those not afraid to eat.